Duchess and widow, the patroness of Silesia, a region of eastern Europe. Also called Jadwiga in some lists, she died in a Cistercain convent, having taken vows. Hedwig was born in Andechs, Bavaria, Germany, the daughter of the Duke of Croatia and Dalmatia. She was the aunt of St. Elizabeth of Hungary. At the age of twelve, Hedwig was marrie to Duke Henry of Silesia, the head of the Polish Royal family. She bore him seven children, and they had a happy marriage. Henry founded a Cistercain convent at Trebnitz, as well as hospitals and monasteries. Henry died in 1238 and Hedwig became a Cistercain at Trebnitz. She had to leave her prayers to make peace among her offspring, and she buried a child who was killed fighting against the Mongols. 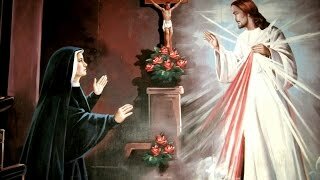 She died in the convent on October 15.Many miracles were reported after her death, and she was canonized in 1266.